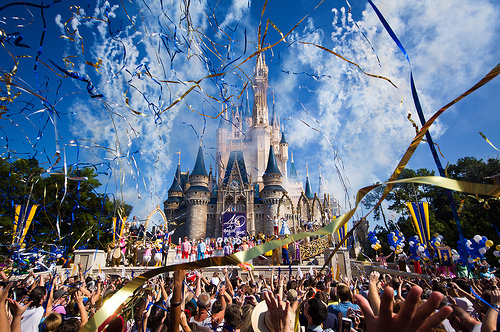 Located in the middle of Florida, Walt Disney’s dream of a mega-amusement park opened in 1971, and still entertains millions today. 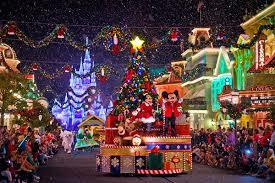 Disney World itself is comprised of the largest vacation resort in the world as well as the most visited theme park. 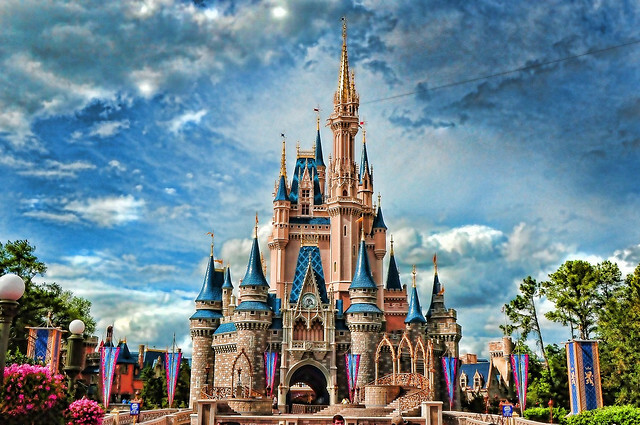 With over 25,000 acres, Disney World contains four theme parks, twenty-four resorts on site, two water parks, a shopping and entertainment enclave, and for the golf fan, five pro courses and four mini-golf spots. The first enclave of mouse magic is still the most popular, with Disney World’s Magic Kingdom drawing over 17 million visitors annually. In fact, it is the world’s most popular theme park. The park is built on over 107 acres and has themed lands including Adventureland, Liberty Square, Fantasyland, Tomorrowland, and Frontierland. The ultimate tourist destination for families, Disney fans, and children of all ages, the Magic Kingdom is reached via the vast, man-made Seven Seas Lagoon Lake. Guests are ferried into the park by boat or monorail. Guests first get a glimpse of the vast Cinderella Castle at the end of the park’s Main Street, one of the most photographed spots in the world. From the Enchanted Tiki Room to Tom Sawyer Island, Space Mountain, Pirates of the Caribbean, and Stitch’s Great Escape, there are rides to suit all ages here. The wonder and adventure of these and other iconic rides can be supplemented by attending special seasonal events like Mickey’s Very Merry Christmas Party or Mickey’s Not So Scary Halloween Party.Naturally there have been many additions to the park since the Magic Kingdom took root, with three additional theme parks adding to the lure of the Disney resort. Epcot is one addition, divided into Future World and World Showcase. The former features a variety of pavilions about the environment, imagination, energy, space, and technology. World Showcase pavilions represent 11 nations and their food, entertainment, and attractions. The most iconic feature of this brilliantly educational park is its geosphere Spaceship Earth. 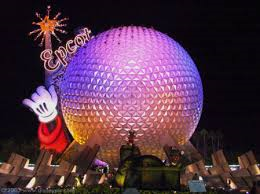 But Epcot is also the epicenter of nighttime entertainment with the famous Illuminations: Reflections of the Earth, is a firework and laser show held nightly at the World Showcase Lagoon. 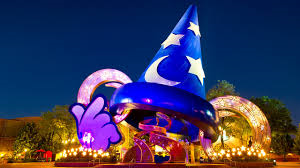 Disney World also contains Disney’s Hollywood Studios, a movie theme park with shows based on Disney hits like Frozen, and thrill rides such as Toy Story Mania. There’s also a themed area devoted entirely to Pixar movies. 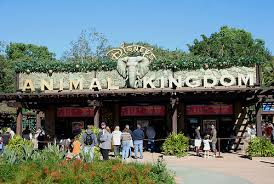 Disney’s Animal Kingdom is a hit for animal lovers, with interactive rides through live animal habitats and even a roller coaster that simulates an expedition to Mt. Everest. 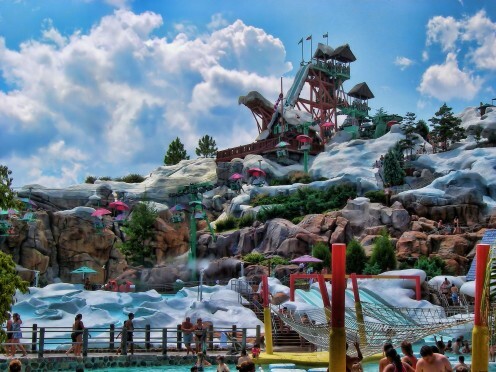 Warm weather visitors will love the water parks Disney World has to offer, such as Blizzard Beach and Typhoon Lagoon. The former depicts a Florida ski resort – after the snow has melted. 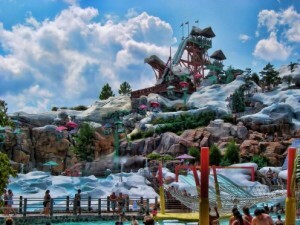 Typhoon Lagoon is a beach supposedly created by a typhoon. The Disney imagination never gets water-logged. Along with these theme park attractions, Downtown Disney offers shopping, nightlife, and dining options including the LEGO Imagination Store and an outpost of the Rainforest Café. 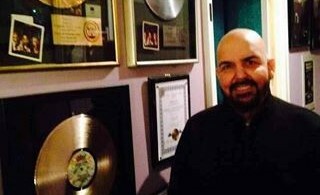 Check out these articles, also! I went here when I was about 20 years old. Wow! Time to go back. Thank you, Janette. Share this site with friends, too. We love constructive comments. I have not had the opportunity to visit Disney World yet, but from what I have read here, it seems to be huge and a must visit someday. An incredible adventure of a life-time for sure. Can`t wait until I can check it out for myself.